Scuba diving is one of the most fun and rewarding outdoor activities, and here in Australia, we have some of the world’s most magnificent diving. 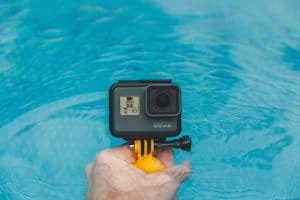 Adding a good quality dive computer to your kit will make your diving safer, more accessible, and reward you with increased bottom time. With the wide variety of dive computers available, it can be hard to know which model is best for you. 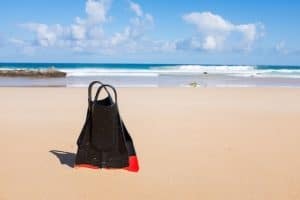 To assist in your search, we’ve researched the computers available and created a list of options that will fit wonderfully into your dive kit. Knowing the differences in features and functionality of the different dive computers available will help maximise the enjoyment of your entire dive experience. 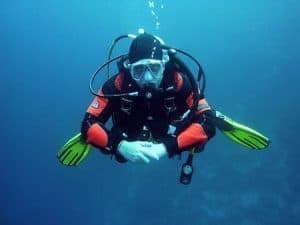 When you enrolled in your scuba program, you had to learn how to navigate the no-decompression dive tables to avoid decompression sickness. A computer automatically tracks your time and depth to deliver accurate no-decompression dive times. Dive computers track your specific depth and time. This tracking includes your changing depth and times at shallower depths. The result is a dive profile that monitors your entire dive, not just the deepest point you reached on the dive. Combined with active surface interval tracking, you get more safe time underwater checking out the reef and sealife. One of the most critical parts of your dive is a proper ascent rate and your safety stop. 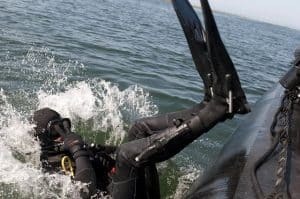 The majority of dive injuries occur at this point of the dive. Computers come with onboard trackers that make sure you don’t rise too quickly. Plus, the computer will calculate your depth and dive times to deliver how long you need to hover around 5-meters before making your return to the surface. A favourite feature of ours is the internal storage that most dive computers have. This storage is used to record all of your dive data. They don’t replace an actual logbook, but you don’t have to rush to your log after each dive to track where you have been and for how long. 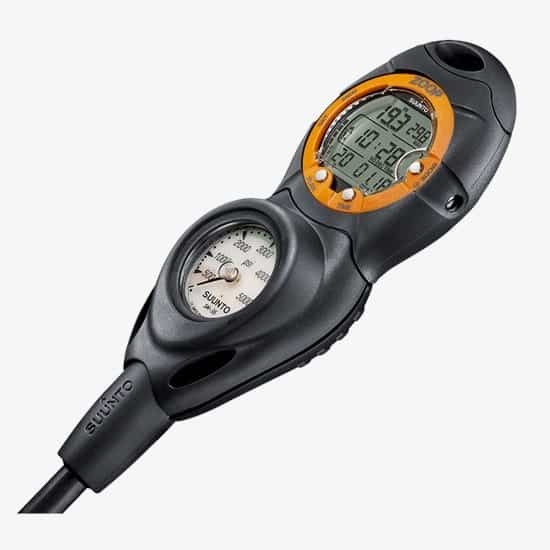 One of the best features of dive computers is that they can be adjusted to track your safe dive time when using Nitrox. Most computers have a range of mixes that you can input to match your dive parameters. Other dive condition adjustments include altitude and personal fitness levels. In scuba, the elevation of your dive site and physical composition impact your body’s absorption and off-gassing of nitrogen. Taking advantage of these adjustment modes will make your diving safer and let you dive more. ​Cressi scuba is one of the oldest names in scuba, and their equipment never disappoints. The Leonardo is a simple to use computer that experienced divers and novices alike will find impressive. Cressi focused development on maximizing display while reducing complication. The Leonardo only has one button that you will use to navigate the settings. 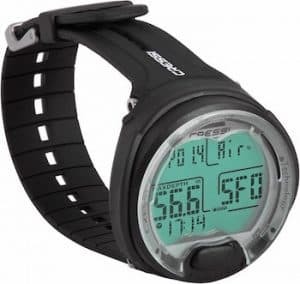 You will find less confusion when operating the watch, and a faster interface. We also love that the single button saves room in the housing for the large HD display. Cressi made included nitrox and air modes with mixes between 21 and 50%. When using a nitrox mix, the Leonardo also consists of an oxygen toxicity graph to help you plan your maximum operating depth. ​For nearly a decade, the Mares Puck has been a go-to wrist-mounted computer for divers that want a fully functional dive computer at a budget price. 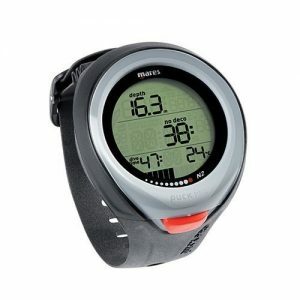 This option is full-featured with an internal log book, depth and time, altitude adjustment, and dive planning mode. In their latest edition, Mares has engineered a slimmer frame with a larger display. The long-time dive equipment manufacturer has built a reliable and durable dive watch that you can take on any dive around the world. ​For those of our readers who prefer a console set computer instead of a wrist mount option, check out the Suunto Zoop. The Zoop features four modes; air, nitrox, gauge, free. The Zoop also includes battery saving off mode. The Zoop uses Suunto’s no-decompression formula that can be a little conservative for deep divers and tech divers. 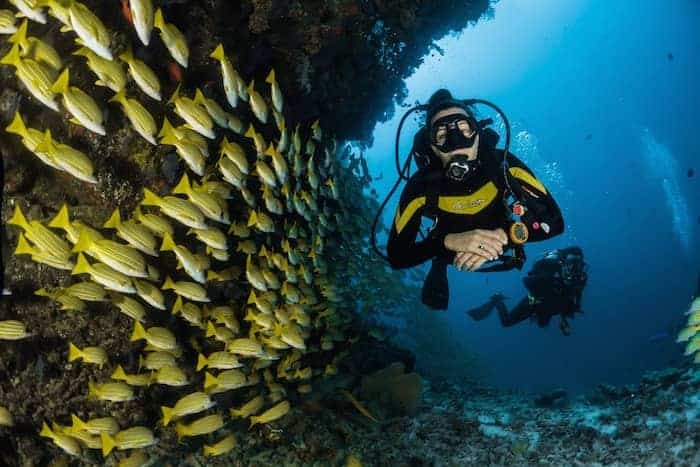 For recreational divers, the algorithm is perfect to make sure you don’t get anywhere near decompression sickness. One of the best features of the Zoop is the flexibility to be a wrist mount or a gauge mount. 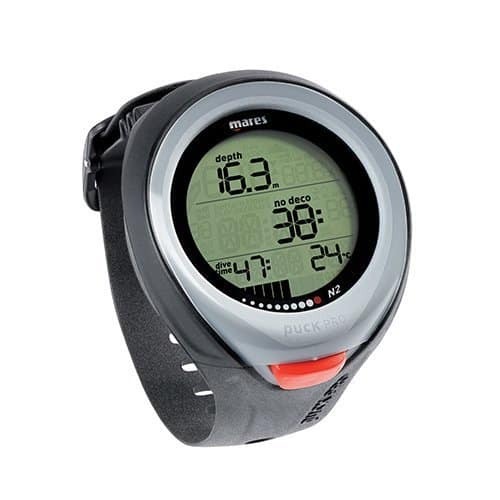 Suunto offers an easy to use and comfortable boot that will put your air pressure gauge and computer into a single information console. 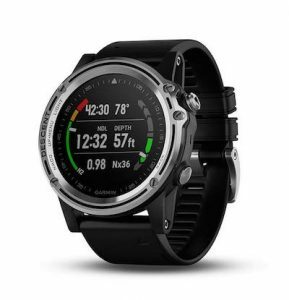 ​The Garmin Descent MK1 is the dive computer for the diver who likes to adventure in the most remote dive areas. Not only does the MK1 have all the features of a traditional dive computer, but it also incorporates GPS and GLONASS in a 3-axis compass you can use above and below the water. Another feature that sets the MK1 apart is that it will support air, nitrox, and trimix. 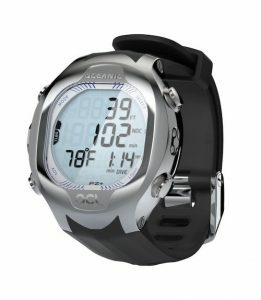 This flexibility makes this wrist-mount computer an excellent fit for almost any diver recreational and professional. This computer is indeed the diver’s computer with everything you need and more. ​Sometimes you want a dive computer that looks as good out of the water as it does on the dive. The Oceanic OCL is a stainless steel cased watch that would fit in at any dinner party. This does limit the computer to wrist mount configuration, but being able to go from the sea floor to 5-star dining without having to take the watch off is a nice perk (though we do recommend rinsing with fresh water to protect the computer). The OCL features four operation modes, including norm, gauge, free dive, and watch. The different settings allow you to tailor your watch experience to whatever you are doing. The norm, or dive, mode allows for a selection of both air and nitrox tracking. You can input between 21 and 100% mixtures. Plus, the norm setting can automatically adjust for altitude. These two features of the norm mode offer a high degree of flexibility and safety. If you are considering making scuba diving a lifetime pursuit, invest in a good dive computer. As divers ourselves, we like the Cressi Leonardo. The Leonardo is easy to use and routinely delivers longer, safer diving, with the ability to do more dives every dive day.